Job Summary: The Quality Assurance Officer ensures that the requirements set by Statement of Membership Obligation 1 (SMO 1) are complied with. The QA officer will also be responsible for Licensing, Inspections and CPD compliance. Scheduling firms for quality reviews and inspections. Conducting visits in a professional manner. Establishing relationships with practising accountants and gaining their trust and respect. Identifying and analysing review findings and providing constructive advice. Prepares periodic activity reports on the progress of the quality assurance programme. Prepares reports for the Quality Assurance Board regarding the outcome of the Quality Reviews. Provides administrative support for the Quality Assurance Board. 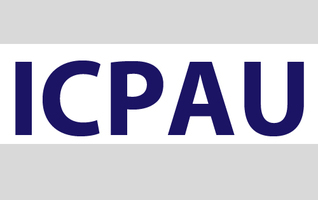 Assesses compliance with CPD requirements by ICPAU members. Liaises with the CPD officer on the CPD programme. Processes license and practising certificate applications. Reviews and vets the relevant practical experience obtained by applicants for registration as practising accountants. Prepares relevant presentation and training material. Participates in Financial Reporting Awards evaluation. Responds to inquiries regarding licensing, inspections, CPD compliance and Quality Assurance. Reviews practical experience training records. Carries out any other duties as assigned by the Manager - Quality Assurance & Regulation. A minimum of three years of professional experience in auditing or quality assurance. Experience with implementation of corrective action programmes. Understanding of tools, concepts and methodologies of Quality Assurance.